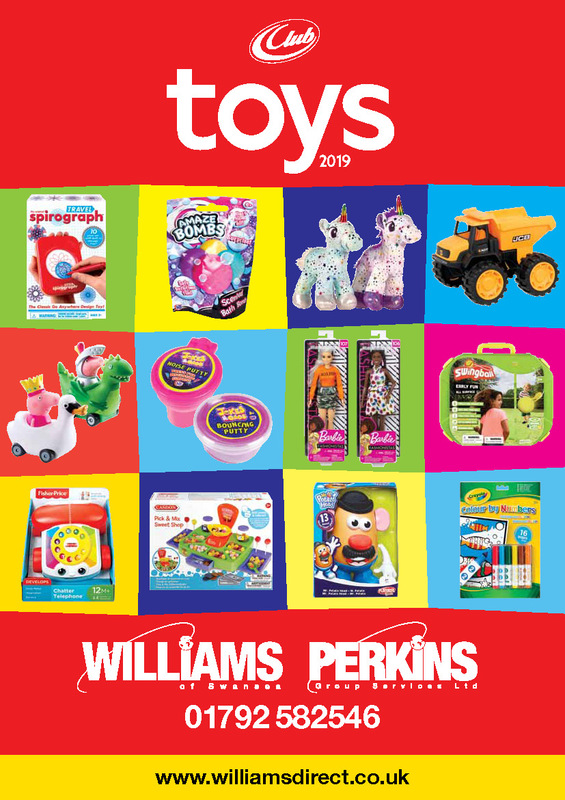 Williams of Swansea have issued their 2019 Toy catalogue. Gainsmore members benefit from excellent discounts and a handsome credit period! The Club Group is the leading group of distributors in the UK and Ireland for toys, stationery and seasonal goods. In this catalogue you will find children’s favourite characters, the latest playground crazes, plus leading brands - all at competitive prices so that you can maximise your sales and profits day in, day out. You will see many of the favourite characters - some are old-time favourites and others are new ones added to the range for 2019. New characters and ranges are added throughout the year, so please ask your representative for details of the latest exciting additions. To check out the full catalogue click on the image - be warned it's a massive file. To have Williams get in touch with you just follow the link below.